You’ve just finished watching a scary movie and you’re going to bed, hoping that sleep will smother the recurring image of that horrifying clown. Suddenly, you hear a creaking squeal that seems to go on forever. The clown resurfaces in your head; you can see him opening that creaky door at the entrance of your house and coming for you. It’s horrific right? And all because of those creaky doors. You now have the unbridled motivation to solve the problem once in for all. Now all you need is a guide on how to solve the problem of your creaky door. And that’s why we’ve put together a number of ways in which you can eliminate this nuisance once and for all. The simplest solution is to purchase any conventional lubricant and apply it on the hinges of the creaky doors. This usually solves the problem immediately. However, if that doesn’t work, you’ll have to go about taking the hinges out, getting rid of the accumulated rust or coating them with a lubricant. 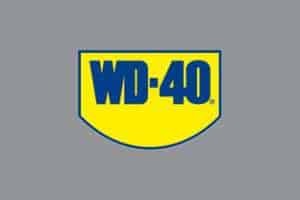 Given below is a list of lubricants that you can try out immediately. If your creaky door still remains creaky after that, it’s time to tie a handkerchief around your head and start the process of extracting those hinges and coating them using a lubricant or if they are exceptionally rusty, removing the rust first and then applying a coat of lubricant. Given below are three steps to take once you have taken the hinges out. Applying oil on the hinges of that creaky door works almost all the time. Follow the procedure below for applying oil to the hinges of that door. Shut the door first and gently hit the base of the hinge by placing the point of a nail there and subsequently using a hammer. Once the hinge has loosened up, it can be pulled out by the hammer using the gripping portion of the hammerhead. Keep in mind though, once you’ve taken out the hinges, the door is not connected to the doorframe. Therefore, just to be on the safe side, rest it on the closest wall to make sure it doesn’t accidentally fall. Motor oil is an excellent general purpose lubricant. It is easily available and is an inexpensive solution. The coating lasts for a while before running out. Take a paper towel or a rag, apply some motor oil and swab the hinges. 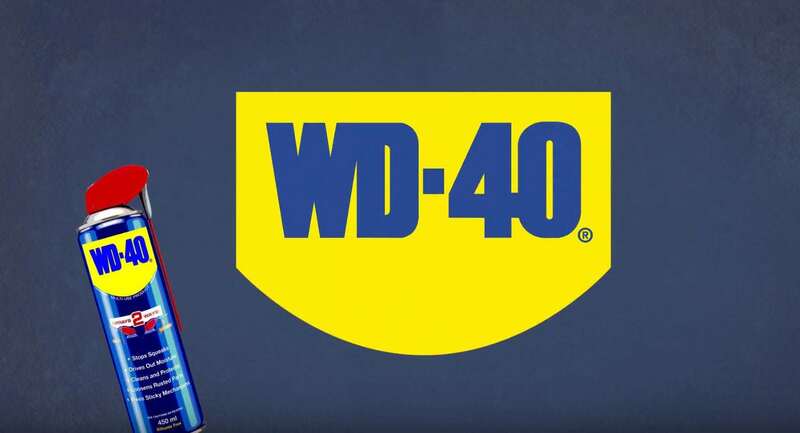 WD-40 and cooking are great alternatives as well for getting rid of the creak in creaky doors. Slide the hinges back in their slots. Once they have locked into position and are not sliding back out, use your hammer and nail to position them securely in place. Shut the door and open it a couple of times to make sure there isn’t any more creaking and that it is securely fastened to its frame. If the creaking is still there, you might have to apply another coat of oil. Remove the hinges again and apply another coat of oil. Oil is fluid in nature; therefore some of it may have dripped down the door. This could cause oil stains on the door. Therefore you should use a clean and dry piece of cloth to wipe that oil away. If the oil wasn’t effective, applying wax can also help in solving the problem of a creaky door. Follow the procedure below to apply wax on the hinges. Paraffin wax can be found in candles and its raw form is available at many hardware stores. Raw wax does not have an odor, is white and is sold in either the form of cubes or slabs. Before purchasing candles, make sure you are buying candles that are made from paraffin wax. Use an electric stove for melting the wax. Heat it over the stove till it fully melts. Do not use a gas stove; when wax reaches its boiling point it releases flammable vapors. Use a microwave if you do not have access to an electric stove. Melt the wax in two minute segments. This is to ensure that it melts uniformly. Just to be on the safe side, measure the wax’s temperature with the help of a thermometer. Paraffin wax has a melting point of around 284°F (140°C). Take the hinges out using the procedure described previously. Coating the hinges with wax confers the advantage of making them dustproof. Make sure that you coat the hinges uniformly with the melted wax. Let the wax solidify and cool to prevent it from dripping. Usually this takes around ten minutes. Shut the door and open it again many times to make sure that the creaking has been eliminated. It is possible that a single coating may not prove to be sufficient. Should this be the case, coat the hinges with wax again and do this till the creaking is no longer there. Residual wax is easier to dispose of compared to oil. Keep in mind that lubricating oil and paraffin wax will be ineffective against hard gunk or dirt on the hinges. If the creaky door persists in its creakiness, steel wool is your final weapon. You need to remember that oil and wax cannot remove dirt or gunk from hinges. If your creaky doors remains creaky, you need to resort to steel wool. Follow the procedure below for using steel wool on the hinges. If the door still creaks after the application of lubricating oil and paraffin wax, your hinges are probably covered with solid gunk or dirt. It is possible that they could be rusted. Look at the hinges and see if that’s the problem. If this is the case then they need to be scrubbed using steel wool. Take the hinges out using the procedure described previously. Once you have done that, put them in a sink. Take a pad of steel wool and start scrubbing the hinges. Fine steel wool is most effective for thorough cleaning. Keep scrubbing until all the rust, hard dirt and gunk have gone. It is also helpful to dip the wool in a cleaning solution before scrubbing. This is particularly effective for resistant spots of rust. Once you have thoroughly scrubbed the hinges, apply lubricating oil or paraffin wax uniformly, as described above. Put the hinges back into their position and get rid of any oil, wax or grease that may have dripped. After all these measures, your creaky doors will not be a creaky door any more.